Earlier, while strolling around SM Megamall, we saw a new Cherry Mobile handset that caught our attention. Named as the Cherry Mobile Revel, it is one of the most affordable octa core powered handset in the land. 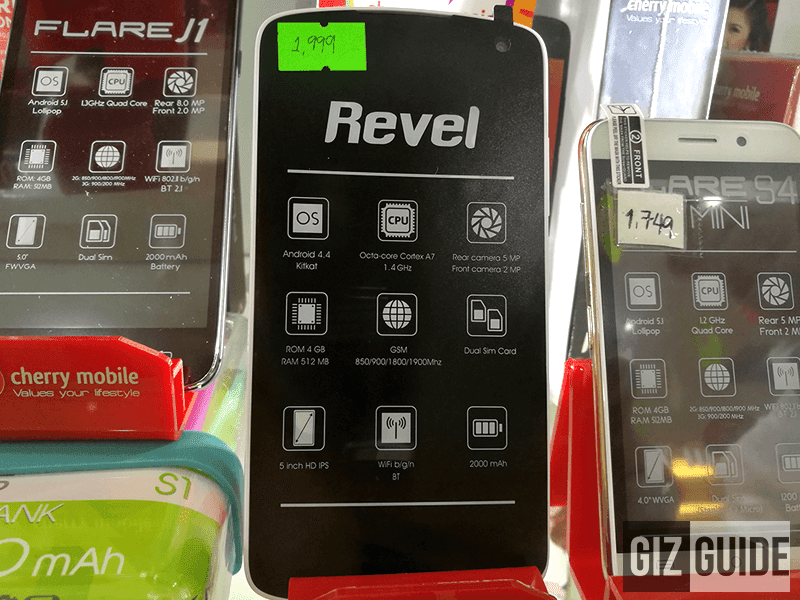 For starters, the body of the Revel is made out of polycarbonate materials and features a rare for the price type of 5 inch HD IPS screen with a resolution of 1280 x 720 pixels. Running the show for this phone is the ever reliable MT6592m octa core processor clocked at 1.4 GHz and Mali 450 GPU which makes this a pretty speedy budget phone. There's also 2,000 mAh of battery capacity, 5 MP main cam, 2 MP selfie cam and dual SIM card slots. Then it only has 512 MB of RAM, 4 GB of expandable internal storage and Android 4.4 Kitkat operating system. However, that's very forgivable considering the low asking price of this phone. The Cherry Mobile Revel is now available in their kiosk with a low SRP of just 1,999 Pesos.